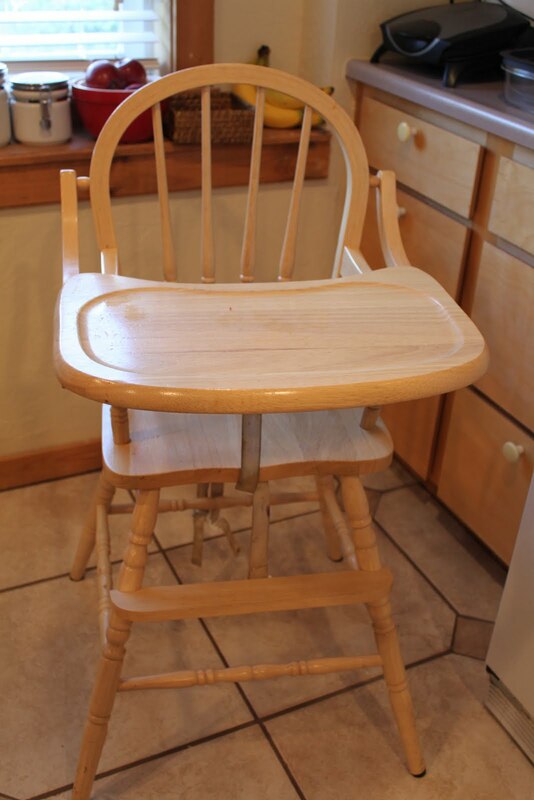 I have been wanting to buy a solid wood highchair for a long time now, but didn't have the funds to buy what I really wanted........ (price tag over $200) After sanding the crap out of my ksl find and staining it, the stain came out very blotchy. I was devastated to think that I would have to start from scratch. After researching all night online I was inspired to venture to Home Depot and see if any one there would be of assistance. Thanks the heavens above for Erik and Allison!!!! Well, as I sit here typing there is a very powerful stripper stripping the stain off. Updates are on their way! Please let this work!!!!!!!! What color stain is that...it is lovely! 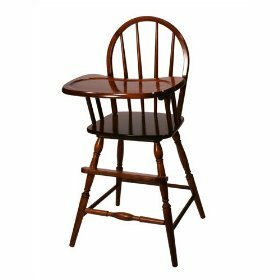 I also found a wooden high chair in a thrift store and have plans to refinish it. Hi, I used the Minwax Stain in Red Mahogany. Yay for the thrift store find! Good luck and have fun! Your projects are lovely! You have motivated me to do some of my own this summer when I will be home from school. Now I found another one just like the one in your picture. The only difference is that there is a decorative piece in the middle of the back. It cost me $15.00. I am so excited to refinish it.